We have been performing pack-outs of both business and homeowner’s personal contents for over 40 years! 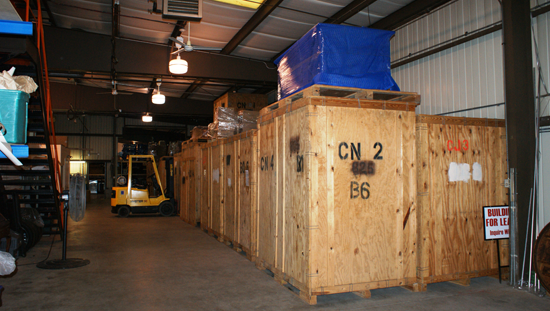 Because of our experience over the years, we have mastered a system that protects and prevents damaging your contents while they are stored in personal storage vaults in our 12,000 Square foot, climate controlled warehouse. Your contents are video inventoried on site for any damage and then carefully moved back to our warehouse for necessary cleaning and/or deodorizing. Your contents are then protected and packed into your own personal storage vaults with an inventory sheet posted on each vault to allow for identifying the stored contents in case there is a need for viewing them. If contents do not respond to our cleaning and deodorizing process, we will notify your insurance adjuster for viewing. If necessary, and after receiving authorization, we can perform a furniture refinishing service if necessary.